How do you pack your Trilobites John?, I bought one but lost it after about 6 sessions. 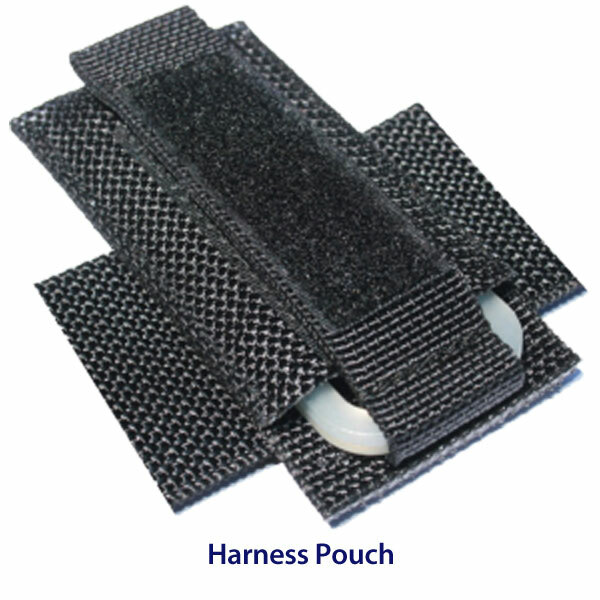 They are in "harness pouches", one on each side of my seat harness webbing. They're mounted "right side up". Haven't ever lost one. Couldn't sleep last night so worked on the new center rope (made it dual layered this time) and took @iriejohn's suggestion of flipping things around see how this works and added a front line flag used my spare SS bungee to keep things tidy. BTW one thing I'd like to try out is adding a protective tubing around the center rope if it doesn't add much weight to it, the one thing I'm really digging about my new setup - besides the simplicity of my new setup - is the weight I shed off the bar so definitely don't wanna add any more weight to it. 1) is there a way to somehow make the rope continuously dual layered, this spot is where the 2 sort of meet. 2) do you y'all think this could be a problem? week point where is definitely gona go? should I find a way to reinforce it? Don't you need a stopper a couple of inches above the safety release? At the moment you have a potential problem if your centre line gets wrapped around the bar and your release doesn't have enough to fully operate. I too think it's good practice to have a means of keeping the bar directly off the QR. The way you had it before with the sheeting line larks to a SS ring was good. Then just larks the QR to that ring. Actually your way in the latest photo does have a nice advantage: The splice bury on the QR pin can be as long as needed. Agree with Treehorn, a stopper ball to keep the bar off the QR would be a good addition. Tnx both JT and alford for your comments and makes a bit of sense, but I fail to see where would or could become a problem and in the interest of education not just being argumentative how is this any different from the BRM CR system? BTW do u guys see any issues with the 2 questions I had on my previous post? Tnx again you guys have been instrumental in my setup. You're correct, the BRM bar does make contact with the QR. However, on the BRM bar, QR # 2 (total release of kite) sits directly behind QR #1 (flagging). I believe the argument would be if you are unable to flag with QR #1, QR #2 is right there within your grasp. With your setup it would be two more separate actions. Just saying I believe that's the logic. I think what they are saying is if the QR1 is jammed up against the bar and can NOT be pushed to be released it is/could be a problem. So you need a ball or something to keep the release away from the bar to leave some room for the QR to be able to always operate.